Attaching a side car to your motorcycle allows you to bring your best buddy with you, riding in comfort. Poppa Bear Custom Cycles can hook you up with an affordable and stylish sidecar. 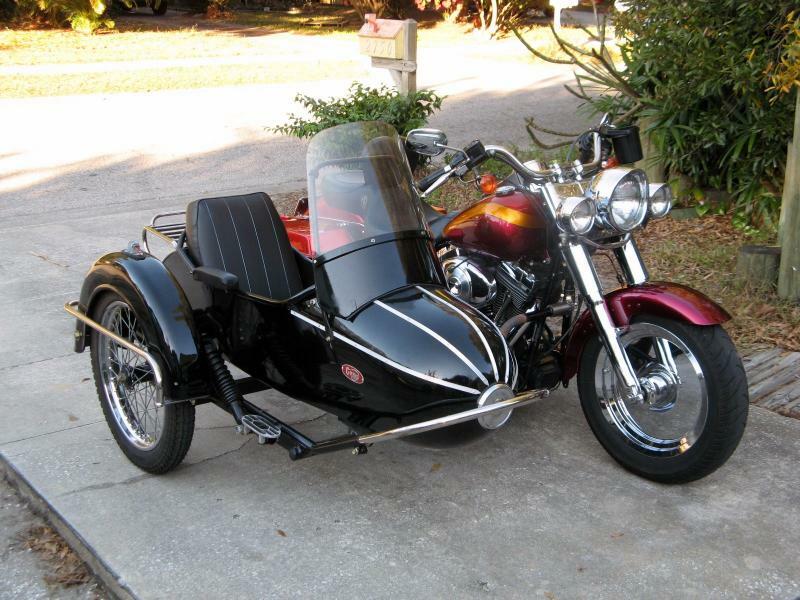 We have both light duty sidecars and heavy duty sidecars available. The average side car is made from fiberglass, with a trunk behind the seat and a glove compartment built into the body. The size of the sidecar and the mounting hardware will vary with the specific bike. Many optional upgrades are available. Contact us today at 410-937-3766 to discuss what side car is right for your bike.